Mangaluru goes Tech way to track and control Malaria cases. 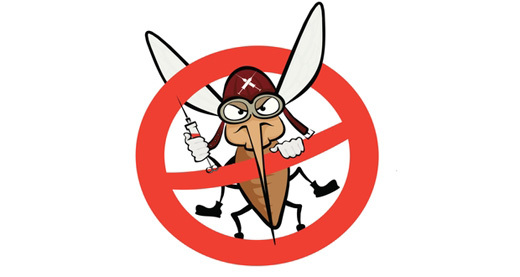 Mangaluru: July 31, 2015: A technology-based initiative, with involvement from the stakeholders concerned, is in the offing in Mangaluru to track and control malaria cases. The Mangaluru-based technology company i-Point and the Mangalore Medical Relief Society (MMRS) have developed software in this regard. Shantaram Baliga, member of MMRS, told sources that though the national vector-borne disease control programme is drafted well, its implementation is not satisfactory in places like Mangaluru. Baliga, who is head of the Department of Paediatrics in Kasturba Medical College in Mangaluru, said that the former Mayor of Mangaluru, Mahabala Marla, had given a go-ahead for the Society to develop software to track and control malaria cases. Naren K, Managing Director of i-Point, said that the malaria control system developed by them includes a web-based system for clinics and laboratories, a mobile-based system for the field workers, and another web-based system for Mangalore City Corporation. The software connects the field workers (who visit households and report sources of malaria origin and malaria cases), clinics and laboratories (who are supposed to report the civic body when a malaria case is diagnosed) and the officials in MCC. At present, the reports from field workers and clinics and laboratories reach the civic bodies a week or a month after the case is diagnosed. Baliga said no purpose is served if there is a case of malaria that is happening today and reported after 30 days. He wondered in which way such reports help in the implementation of the government programme. Naren said that the mobile app on the field worker’s tablet PC helps the worker in collecting various data, including source of malaria, on the site. The data thus captured comes with a GIS (geographic information system) stamp. This helps the officials concerned to analyse the concentration of malaria cases in the city in a visual way and plan accordingly. With the web-based interface, clinics and laboratories can report the cases immediately. It will be displayed on the tablets of the field workers also. Both the web interface and mobile app use GIS, he said. Stating that vector-borne disease control is purely a geographical operation, Naren said this technology helps to identify the source and control it ward by ward in a city, and taluk by taluk in a district. With this GIS-based technology, decision making becomes easier for authorities as they get accurate data on an almost real-time basis. Naren said that trainings have been conducted for field workers and field trials are on for this project. He said 55 tablets have been procured for field workers. The project is ready for complete roll-out in the city. Baliga said that MMRS is involved in field trials, implementation, monitoring, and hand-holding of field workers. For the next one year, MMRS and i-Point will maintain the system. “We do all the trouble shooting, train the corporation people, and make sure it is implemented; and then hand over and give support subsequently,” he said.